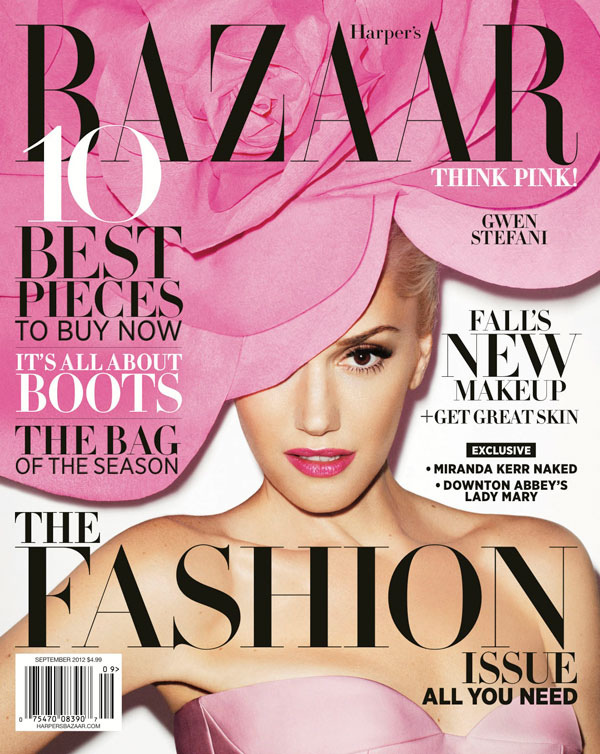 My She-ro Gwen Stefani slays in the September issue of Harper's Bazaar! Gwen rocks looks from Versace, Alexander McQueen, and more. The No Doubt front woman is not just about rock and roll chic. She can pull off classic chic as well. I am super excited that No Doubt is back! I am loving all the promo, which means more Gwen! "I've always been the girl who loves to dress up. I already put my makeup on twice today: I put it on to take my kid to school, and then I went home, washed my face, and put it on again to have lunch with you." YES! I have always been a fan of her style. Sometimes I try to channel my inner Gwen when I dress up!